Gladeana McMahon is considered one of the leading personal development and transformational coaches in the UK who combines academic rigour with down to earth communication skills. She holds a range of qualifications and is accredited with the British Association for Counselling and Psychotherapy, Association of Rational Emotive Behaviour Practitioners and the British Association for Behavioural and Cognitive Psychotherapies as both a Therapist and Coach. She helped found the Association for Coaching for which she holds the positions of Fellow and Chair Association for Coaching UK. She is also a Fellow of the British Association for Counselling and Psychotherapy, Institute of Management Studies, International Stress Management Association and Royal Society of Arts. She has presented a range of coaching programmes and was listed as one of the UK’s Top Ten Coaches by both the Independent and Observer on Sunday. She was also listed as one of the UK’s Top Twenty Therapists by the Evening Standard. She coaches CEO’s and those at Director Level as well as politicians and people in the media to master the psychological complexities of 21st century corporate life. Through Gladeana McMahon Associates, she and her team offer coaching and counselling to the general public, both in person and via telephone counselling. General Counselling, Bereavement, Stress, Anxiety, Depression, Work/Life Balance, Relationships, Confidence, Trauma Counselling, Substance Misuse and Work related issues. 34 years experience as a therapist and 20 years experience as a coach. Gladeana has worked for a range of counselling organizations as therapist and at Director and Senior Management level; as well as having been a university lecturer, latterly running a successful independent coaching and therapy practice. 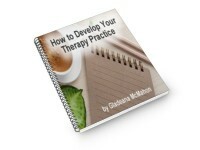 Gladeana’s qualifications include diplomas in Cognitive-Behavioural Therapy, Counselling, and Management Studies. She has certificates in Rational Emotive Behaviour Therapy, Multi-Modal Counselling, Stress Counselling, Trauma Counselling, Positive Psychology, Behaviour Therapy and Personal Construct Psychology. She is accredited with the AREBT as a Therapist and Coach, the BABCP as a Cognitive Behavioural Psychotherapist, the BACP as a Counsellor and Counselling Supervisor and is UKCP and UKRC Registered. 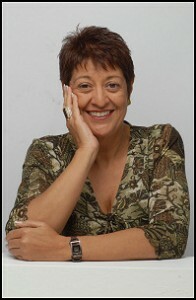 Gladeana is also an NLP Master Practitioner and Certified NLP Coach.